Mentor to conclude testimony in State Capture Inquiry - SABC News - Breaking news, special reports, world, business, sport coverage of all South African current events. Africa's news leader. Mentor had last year testified that she boarded an SAA flight to Johannesburg to meet with Zuma. The State Capture Inquiry resumed in Parktown, Johannesburg, on Monday morning with former African National Congress (ANC) MP Vytjie Mentor back on the stand. She is expected to conclude her testimony and be cross-examined. Former President Jacob Zuma’s son, Duduzane and businessman Fana Hlongwane both applied to cross examine her testimony. Advocate Mahlape Sello is leading her evidence. The Commission adjourned for a short while in order for Sello to organise her documents regarding Mentor’s testimony. Legal representative of the Gupta family, Mike Hellens has asked the Commission of Inquiry into State Capture, to include a video recording of the Gupta residence taken during a visit by the commission and former ANC MP Mentor to be admitted as part of the evidence. Hellens says there is no reason why the video cannot be submitted as part of evidence. 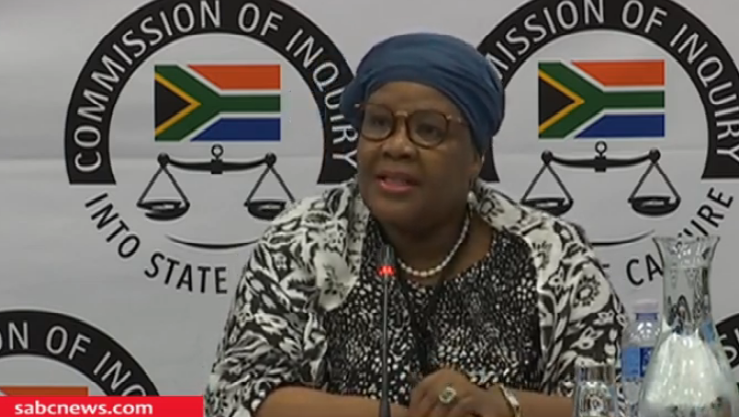 Mentor is also set to deal with evidence she presented to the commission about when she met businessman Hlongwane and Ajay Gupta through former President Jacob Zuma’s son Duduzane on board an Emirates flight to China. This entry was posted on 11 Feb 2019,12:36PM at 12:36 PM and is filed under South Africa. You can follow any responses to this entry through the RSS 2.0 feed. Both comments and pings are currently closed.